Celebrity Banso filmmaker, Shufai Ngoshitong, stars. He also wrote, cast, & directed the film, & scored it with a soundtrack on his flashdrive. 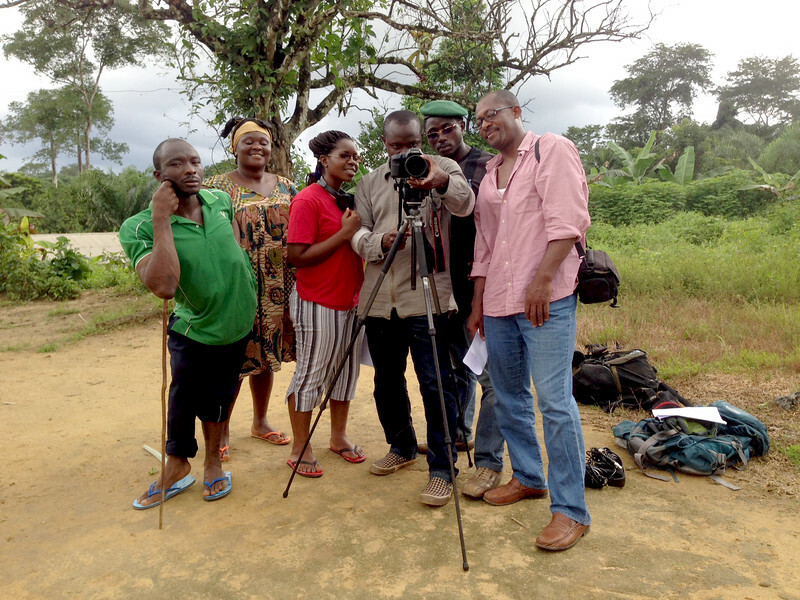 This is a folk film collaboration with a professional film troupe from North West, Cameroon. Mamfé sits astride the Manyu River which becomes the Cross River when it enters Nigeria. 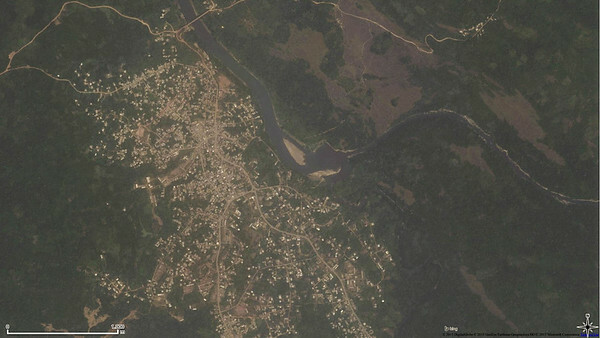 This is the nearest large city to many of the remaining gorilla habitats across Cameroon. Here in Cameroon Ebola surrounds us, to the West in Nigeria, to the South in DR Congo. We receive lots of frantic letters from home asking our whereabouts, when we will return, and how much longer we need to stay to complete this project. The response here is different. Folks seem almost more concerned with how the outbreak affects their image abroad than with the health risks it presents. They are tired of how the Western media continues to, in their words: "paint Africa black." 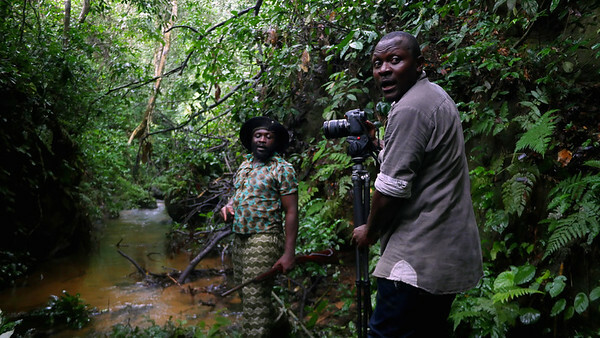 When we invited Shufai Ngoshitong to lead the third film he immediately announced that it would be about Ebola. 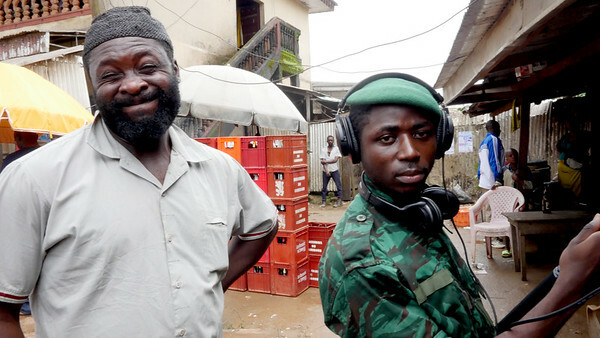 For the past two weeks we produced his film, Ebola Madness (his title for the Cameroon release). Shufai composed the film both to fit this series and to respond to the chaos, confusion, and alarmism stemming from the outbreak. When the West talks about current affairs in Africa, the stories are almost always negative, depressing, and frightening. Here folks have a much lighter way of sharing news, be it good or bad. Ebola presents as much an opportunity for jokes and reflection on the absurdity of everyday life as it does anything else. With this film, we want to be sure to maintain the utmost respect for those suffering or at risk but we also want to share the great levity with which many Africans respond to crises. This film is more difficult to release than to make. Local conservationists fear it may bring rumors of Ebola having reached Cameroon (some folks take movies seriously) or counter-reactions to conservation: rather than no longer eating gorillas, people may instead decide they should kill all gorillas to eliminate the animals as hosts of the virus. These are all aspects we still need to work through. Hopefully this film at least helps to provide nuance to such issues.